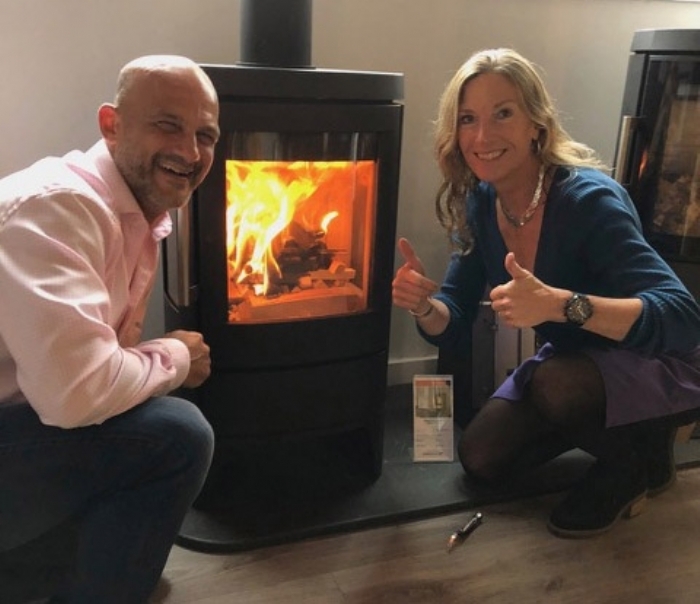 October at Kernow Fires got off to a exciting start with a huge Open Day on Saturday 6th, which saw the Wadebridge showroom crammed with people looking for inspiration for their fireplaces and were equally impressed by the Everhot Cookers. “We were delighted with the amount of clients who attended the event and enjoyed the demonstrations on offer” explained Simon, owner of Kernow Fires “The office staff worked exceptionally hard before the event and we were all slightly exhausted at the start of our Big Bike Ride for Dementia the next day”. After such a positive weekend orders for woodburning stoves are now coming in thick and fast so make sure you go and see Kernow Fires soon for your pre- Christmas installation.